As you might have noticed from an earlier blog post, we offer exterior painting. But did you know that we can also handle painting the interior of your home? New colors in familiar rooms can make a world of difference, and bring a whole new light to your daily life. Available colors for painting the rooms of your home are virtually limitless. You probably already have an idea what will make your home look better, and right now is the time to call us to find out just how easy we can make your dreams a reality. Contrasting colors, textures and much more to update your home are available with a simple phone call. Our highly professional team will give you an estimate and walk you through the process of painting one room, or an entire home. 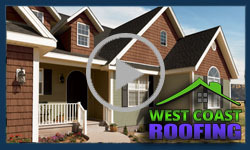 When you are looking for a company in Portland, Oregon to paint the interior of your home, call WC Roofing today! Our team of expert painters are happy to give you a complete rundown of the process and work tirelessly to ensure that there is a little disruption to your life as possible. We will devise a plan to work around your schedule as much as possible so that you have an excellent experience, so that you can enjoy your newly painted interior. For more information regarding our interior painting services, call WC Roofing in Portland, Oregon today.